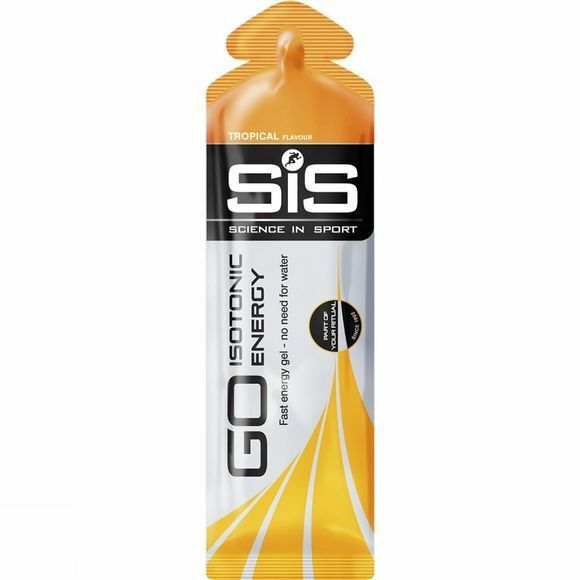 Providing a convenient burst of energy and flavour, this pocket-sized Go Isotonic Energy Gel contains slow release carbohydrates which sustain your workout. The gel formula avoids you having to carry excess water. Water, maltodextrin (from maize) gelling agents (gellan gum, xanthan gum), natural flavouring, acidity regulators (citric acid, sodium citrate), preservatives (sodium benzoate, potassium sorbate), sweetener (acesulfame K), sodium chloride, antioxidant (ascorbic acid).